Looking for extra space to display books, accents and vases or storage for extra home office supplies? The Pacific Home Furniture coastal collection includes a variety of bookcases, file cabinets and office storage options that will help you get organized. Our high-quality wood furniture provides you with both contemporary and classic style options, in light and dark finishes for your home office. Pacific Home Furniture’s Adalyn Cabinet w/ Lid is perfect for your bedroom or as a side table ..
Coastal Cottage Collection Free Shipping including White Glove Delivery and Set Up. .. This Baden Cabinet from Pacific Home Furniture is a perfect for any room.Material – Oak.. The Brian Cabinet from Pacific Home Furniture, made with sturdy pine wood and wire-covered door..
Coastal Cottage Collection....Free Shipping Including White Glove Delivery And Set Up..
Pacific Home Furniture’s Charm Cabinet is a perfect addition to any room, made from reclaimed ..
Green Chrisopher Cabinet This stunning piece from Pacific Home Furniture is unique with..
Grey Chrisopher Cabinet This stunning piece from Pacific Home Furniture is unique with ..
White Chrisopher Cabinet This stunning piece from Pacific Home Furniture is unique with..
Reclaimed Pine Curie Cabinet Pacific Home Furniture’s Curie Cabinet is a perfect ..
Dennis Cabinet The remarkable craftmanship behind this Dennis Cabinet from Pacific Home.. This detailed cabinet gives the combined twist of beauty and storage. 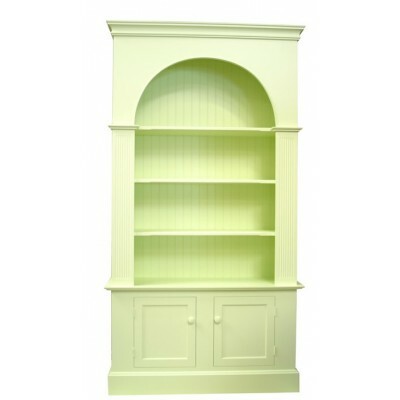 With four levels of storage, t..
Hugh Cabinet With a French curved top down to the dramatic foundation, the Hugh Cabinet.. Simple yet elegant, this traditional cabinet is clearly a vintage piece. With several levels of stor..
Nathaniel Cabinet Ships in 14-21 Days Free Shipping Free White Glove Delivery ..
Coastal Cottage Collection ....Free Shipping including White Glove Delivery and Set U.. Distressed Penelope Cabinet Finished in one of our signature frames, the limed grey oak..
Large Cabinet This gorgeous piece consists of intricate carvings displaying a finely de..
Entertainment Center - Coastal Cottage Collection....Pacific Home Furniture’s Plantation E.. This unique bookcase from Pacific Home Furniture is artisan crafted with meticulous care out of recl..
Coastal Cottage Collection....Free Shipping Including White Glove Delivery And Set Up.The Se..
Coastal Cottage Collection....The Seaside Bookcase from Pacific Home Furniture is the perf..
Coastal Cottage Collection....The Small Sectional Bookcase from Pacific Home Furniture is ..
Large Cabinet The Swain Cabinet is finished in Limed Grey Oak, one of our signature fin..
Large Cabinet Add extra storage to any room with this large, distressed antiqued finish..
Coastal Cottage Collection....Free Shipping Including White Glove Delivery and Set Up.P..
Coastal Cottage Collection....Pacific Home Furniture’s Two Piece Plantation Bookcase.. The victoria cabinet offers the perfect space for glassware and collectibles. It is finished in a da..